A surprising photo op presented itself to me yesterday. A Wild Tree Tobacco behind the house is full of small orange fruits. 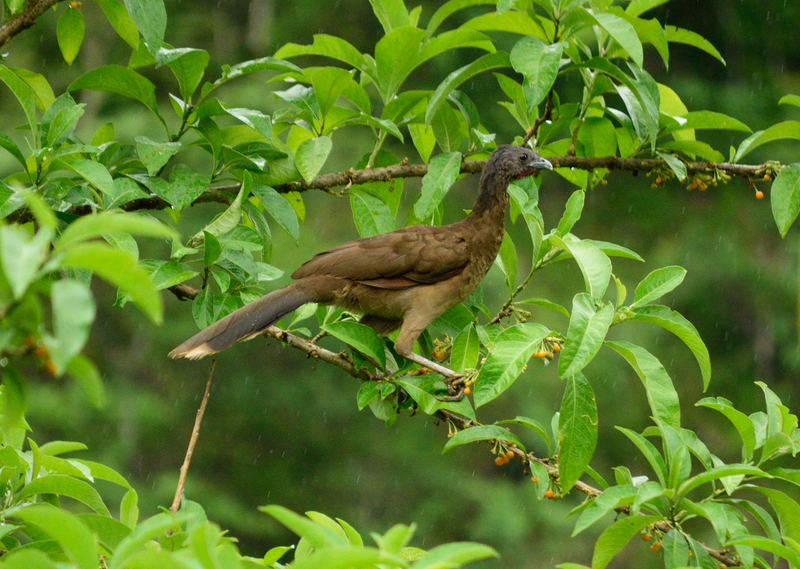 Several different types of birds enjoy eating from the tree including the Gray-Headed Chachalaca. I always enjoy watching the Chachalacas, the large birds travel in groups and can be very noisy. 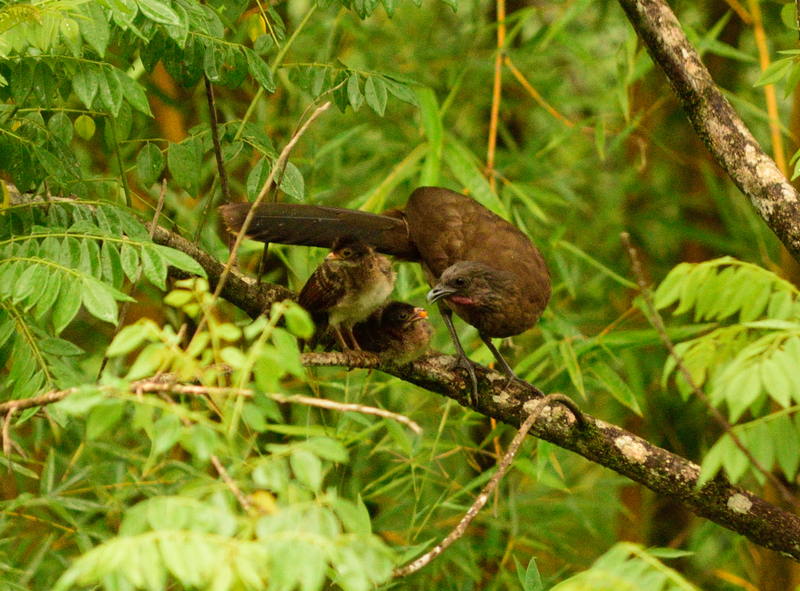 I took photos of this bird and then she flew into another tree where she proceeded to feed two young babies. 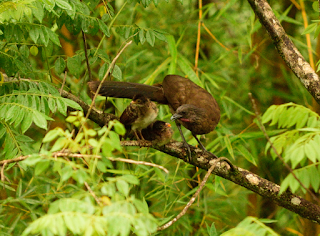 I have never seen young Chachalacas before and felt fortunate to have been able to photograph the feeding session.